DID you know that one in two learners in South Africa has tried an alcoholic drink? Or that 12 percent of learners have tried dagga and nine percent are users? This is all according to research done by the South African Drug and Anxiety Group (SADAG), which deals with thousands of young people across the country with drug problems. With so much exposure to drugs and alcohol and their easy availability, SADAG has found that there are many reasons why teenagers end up taking drugs. Teens sometimes end up using drugs due to peer pressure because they want to fit in and be seen as cool and popular. Boredom also leads to some teens looking for a bit of excitement and they experiment with drugs. However, one of the biggest reasons teens try drugs is out of curiosity as they want to know what it feels like. Others want to try drugs themselves to see if they really are that bad. Having a low self-esteem can also lead to teens using drugs. Teens who feel shy, are struggling to fit in, or are unhappy with the way they look, may end up trying to use drugs to make themselves feel a bit better. DRUGS Because drugs are so easily available, some teens find themselves being offered drugs not by a stranger, but a friend. As a teen, the most important thing to remember is that you should not be embarrassed by saying no. Leave the place where you might be when you are offered drugs and learn to avoid such environments. If your friend continues to insist on you trying drugs, then it’s time to alert an adult or another trusted friend about the offer. And if your friend keeps bringing up the subject, then maybe it’s time to change friends. Drugs can cause great harm to your body, especially once you are addicted. 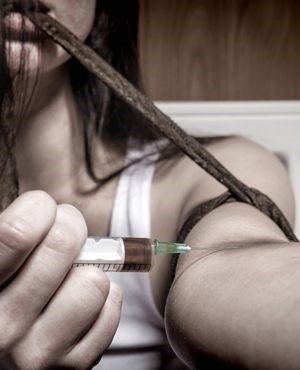 Drug addiction can cause hair loss, bad breath, stained teeth, liver disease and can also lead to brain damage. But it’s not just your health that can be affected by drug abuse. SADAG has also seen how substance abuse causes great emotional stress for family and friends. Drugs also affect one’s behaviour, making them aggressive and violent, and they can even make you withdraw from your loved ones. And once you are addicted, the behaviour becomes worse, with people doing anything to get their hands on drugs, including stealing from family and friends and getting involved in crime. ¦ Sudden change in mood.